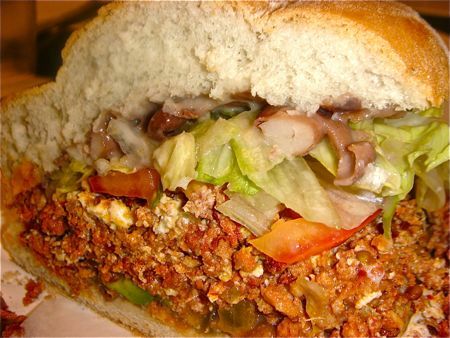 Egg and sausage are just the beginning when it comes to this gargantuan Mexican sandwich, better known as a Huevos y Chorizo Torta. No place makes this hot, spicy, dripping off the bun delicacy better than Sunset Park's 24-hour bakery/counter service hot spot La Flor. The place is a grungy mess filled with garishly decorated cakes -- and some of the best, cheap Mexican grub in the area.